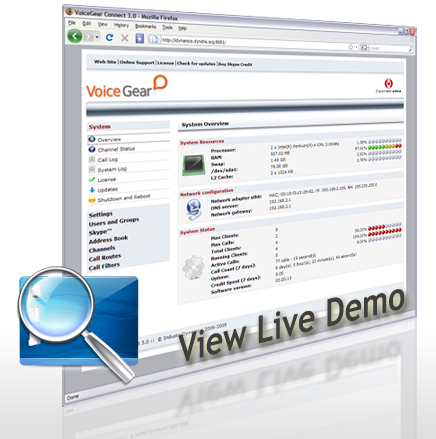 "View our Live Demo to Explore All VoiceGear Features"
Click on the image on the right to connect to our live demo server. Use the following credentials to login into the live demo. View online demo tutorial to learn more about VoiceGear.